Here's a sneak peek from the new catalogue coming soon. Mum loved this card I made her for Mother's Day. To find out how I got this sentiment Thanks for being a Great Mum, keep reading and you'll see how I did it further down. For my other Mother's Day Card, my idea came from Zoe Tant. Again, I thought the card was so beautiful that it needed no change. It's not easy to see in the photo, but the stitched circle is popped up on dimensionals to give depth to the flower. I'm very sad this set is retiring at the end of this month, because it's a beautiful set. However, more great things are coming and we've got to loose some to gain some. I also made a box to put the gift that went with this card in. I used a DSP with matching colours called Blooms & Bliss and I made the box itself from Sweet Sugarplum cardstock. To finish it off I made a belly band with Rich Razzleberry cardstock and used the new Daisy punch which is coming soon for decoration. Can you see how I've inked the edges of the daisy with the Sweet Sugarplum ink to give it some depth? 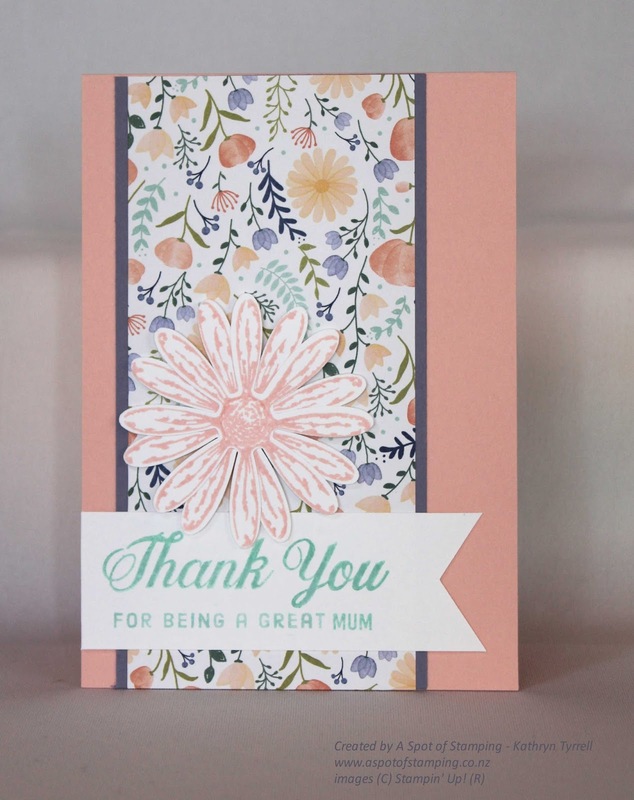 Now to explain how I got the "For being a Great Mum" on my first card. I used the masking technique on the stamp from the set Window Shopping. Using my marker to ink up just the part in the middle of the stamp that says 'For being a Great' I stamped that on my cardstock. 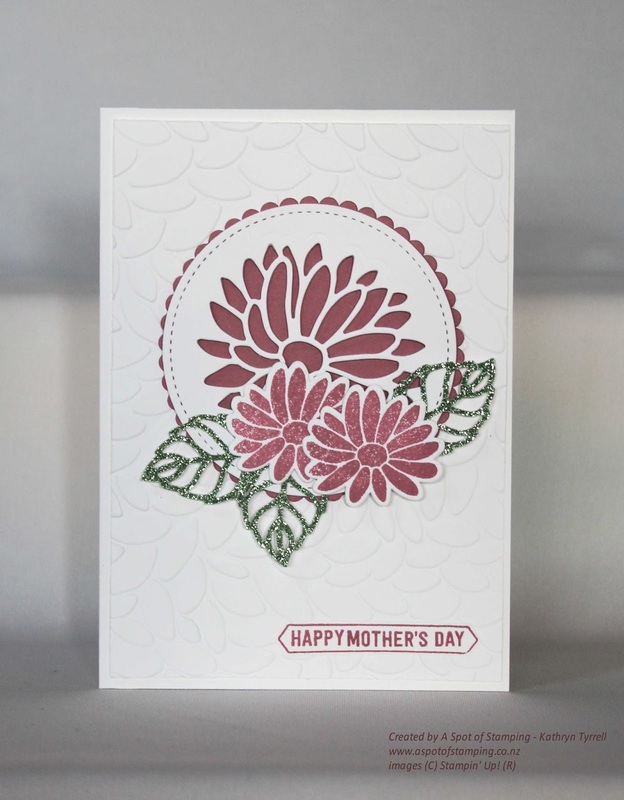 Then I used the 'Mum' from the Thoughtful Banners set and stamped that at the end. I added the Thank you above it, which is from a new Daisy stamp set which is coming soon. 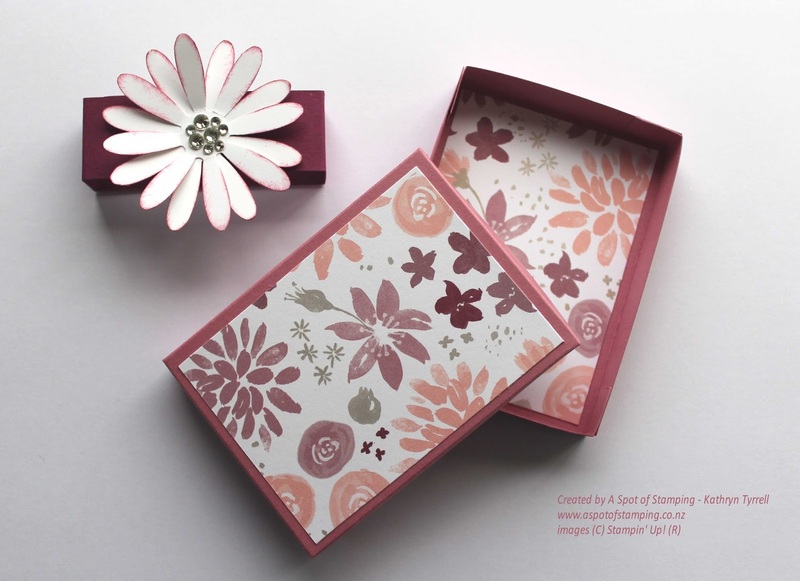 You'll be able to buy the stamp set and the punch that made this beautiful daisy on the card as a bundle and save 10%. Once I had my sentiment, I used the Triple Banner Punch to cut it into a banner shape. This is going to be such a popular set. I absolutely love it and the DSP is gorgeous! 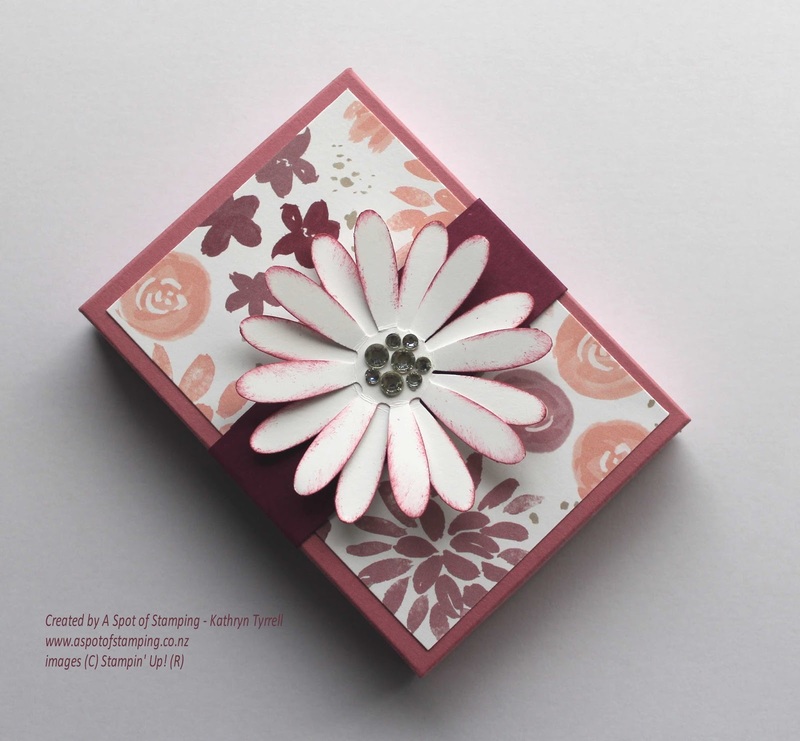 Not only are the daisy, the paper and the stamping new - so too is the colour. This pink is one of the five new in-colours coming. Kelly Kent came up with this idea and several others when she demonstrated this set at OnStage in April.